Here's video, shot by Nathan Lusher (Thanks Nathan! ), of my talk from Manteca a few days ago. I spoke to the Stanislaus Humanists at the Manteca Public Library. This year there wasn't a huge angry mob outside, but hey, you can't win them all. Many believers defend their belief by invoking faith. 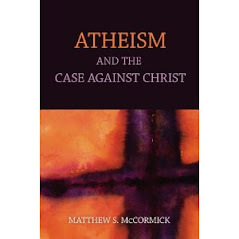 Believing by faith, we are told, solves whatever problems there may be with the evidence. Believing by faith is widely thought to be admirable and virtuous. But believing despite lacking or contrary evidence is dangerously misguided. I make a case to believers why they should not resort to this defense and I explain why faith from the believer to the skeptic cannot be prescriptive. It implies no intellectual obligation to believe. Faith is believing without rules.